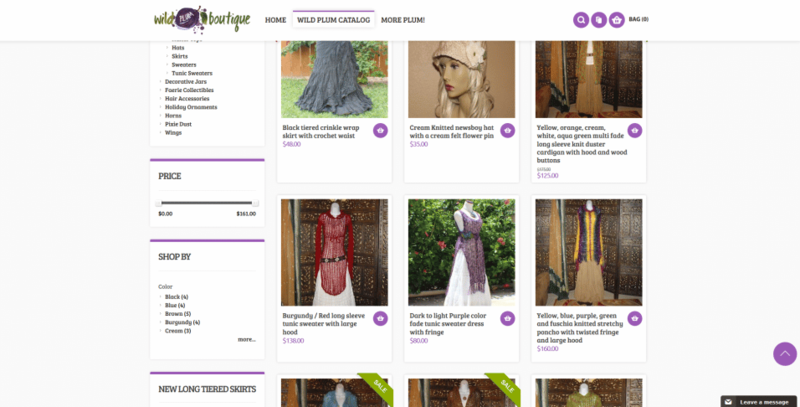 Wild Plum Boutique crafts unique and wildly creative™ products for costuming and daily wear. From Cosplay to Performing Arts, there is a wide range of happy clients that have gone in search of the Wild Plum. 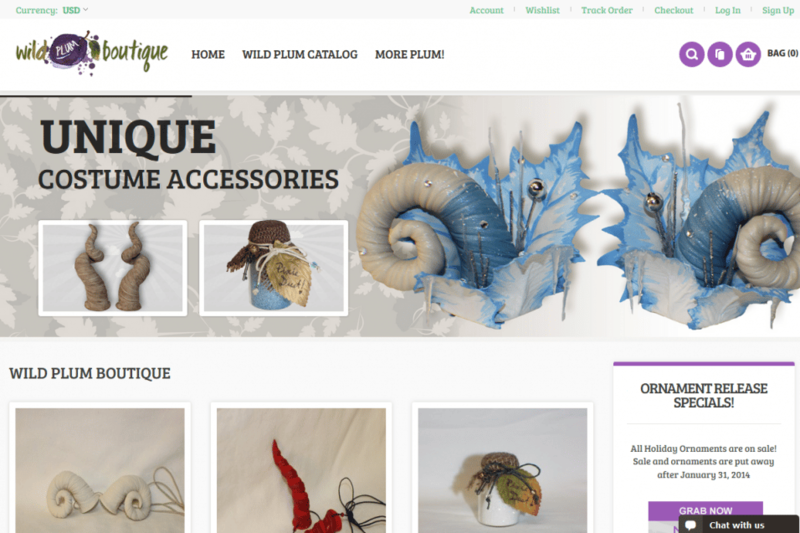 Coming from the grounds of Etsy (an online handcrafted marketplace).. Wild Plum Boutique has found such an increasing success with their talents that they decided it was time to get in touch with us. In pursuit of a place to truly call their own and to have the ability to add style to their eHome to fit their personality and creative touches, they contacted JMSolo Designs with their requirements and creative ideas. Their site is a result of around 2 months of hard work, collaboration, revisions and headaches and ultimately.. a highly creative and easy to use Ecommerce Solution that shows love, creativity and all the hard work that went into the project.. on both sides! 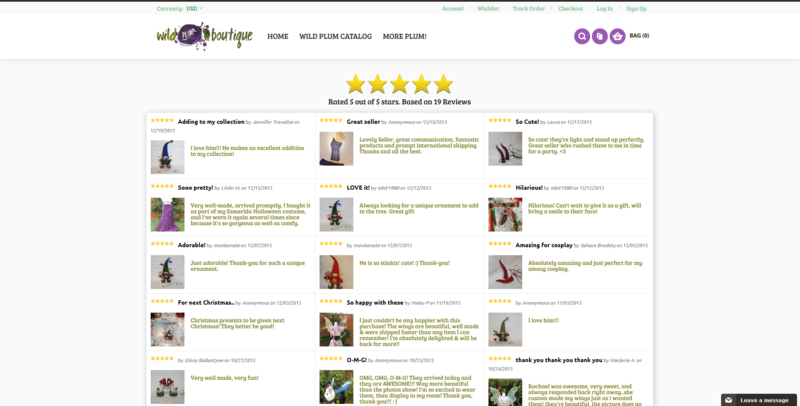 The site itself is built on Magento and took a total of (no.. really) 467 logged man hours! Seeing as how they ship items all over the world we had to build in custom shipping tables that give them the freedom to change their shipping rates on items. Loads of fun elements litter the site that were inspired through ideas they brought to our team.. from AJAX powered Shopping Carts that look like paint splattered ribbons to fancy footers that are nature inspired to touch off their inspirations from nature and the mystical. 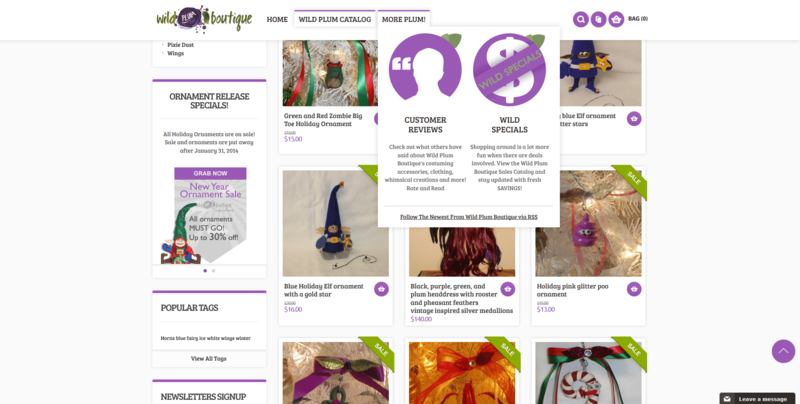 We truly enjoyed working with Wild Plum Boutique and since they are under our wing the communication and creative collaboration will continue as long as they enjoy our services and work. They are an inspiration and crafty fun bunch.. check out their new home and additional social networks soon to come!